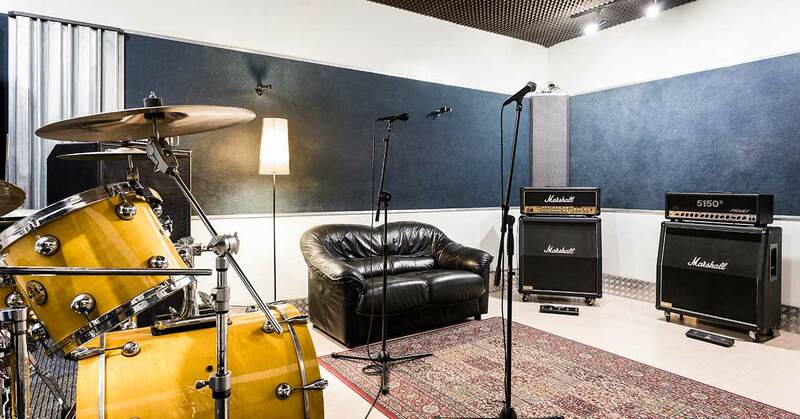 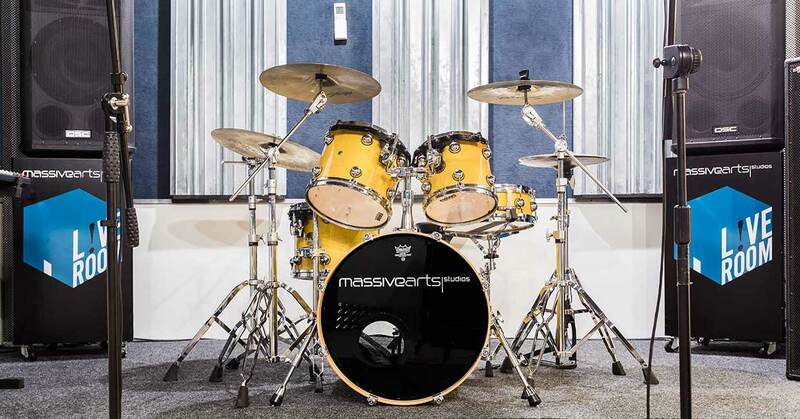 Our rooms have been realised following very specific acoustic criteria, which enable the musician to obtain a completely natural sound response. 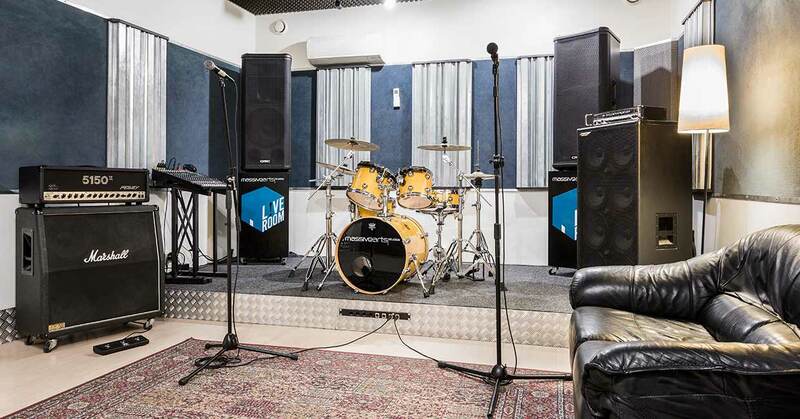 The 6 rooms, with a modern aesthetic, offer an excellent instrumentation always upgraded with the best brands (Marshall, Ashdown, Ampeg, Sonor, Peavy, DW, Drumsound, Mackie, etc.). 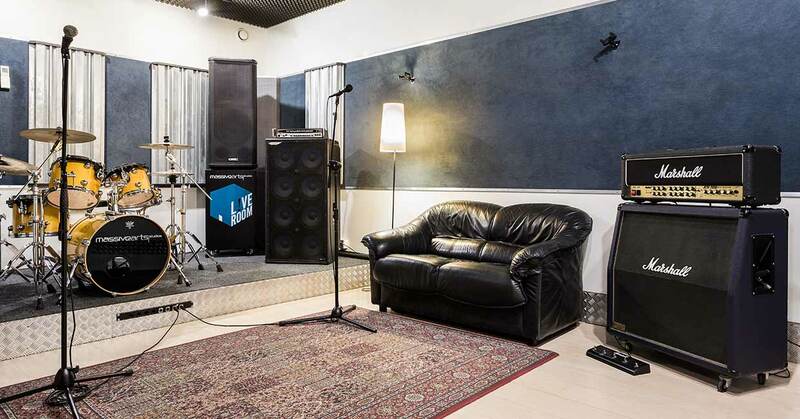 Each room is equipped with air conditioning and air recycling.